Just after dawn on a weekday, my mother and I make a short trek to Joo Chiat, one of the sweet pockets of Singapore‘s laidback East Coast where you’ll still find pre-war townhouse-packed narrow lanes that feel like 1970s Singapore. 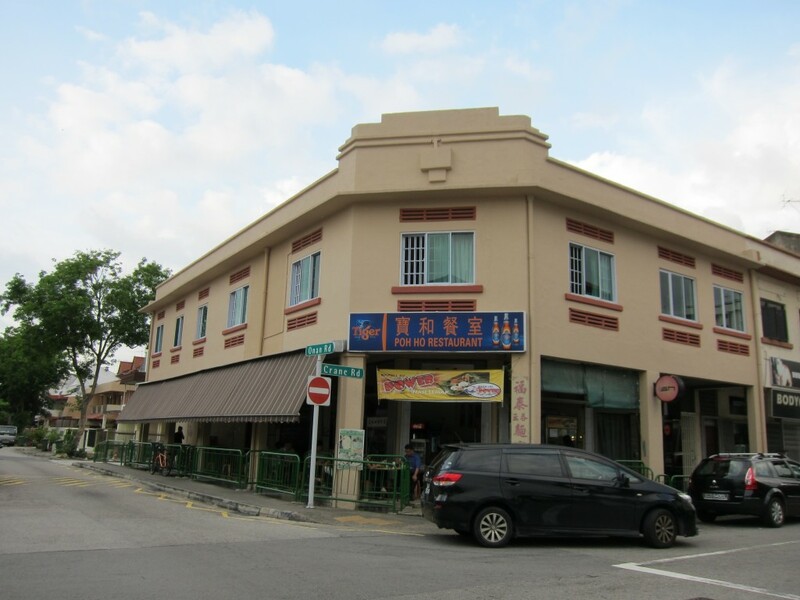 A dusty little corner kopitiam (coffeeshop) beckons — Poh Ho Restaurant, which we’d visited once for excellent plates of wanton noodles. When we left then, I had vowed to return — from what we could see, the handful of other stores there held much promise. One Indian hawker, for example, is constantly mentioned as one of the best makers of roti prata in the country. Unfortunately, we had chosen to make the journey on one of the few mornings each month that the prata guys are off. Our disappointment was brief, however. 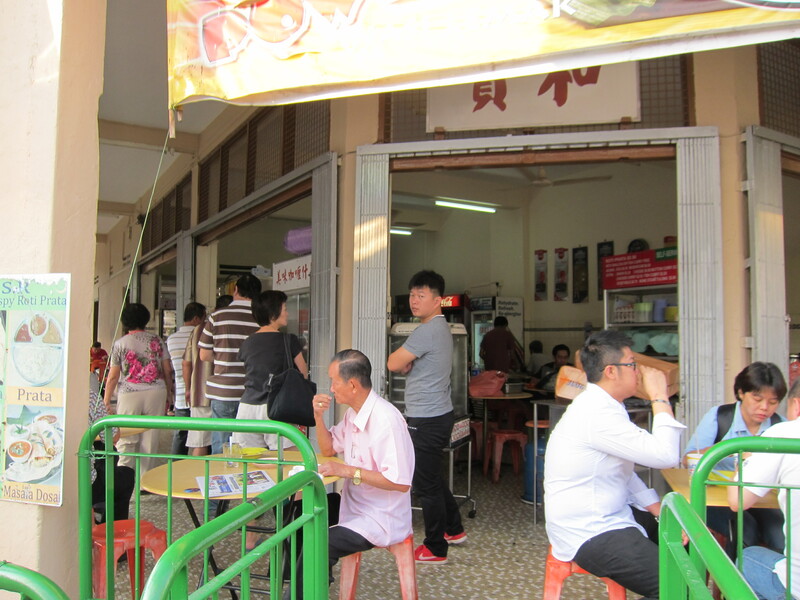 A queue snaked around the front of the kopitiam, framing it like a necklace. I have a great love for old-school Singaporean kopitiams — it’s where you’ll feel the true heartbeat of the country, especially in the morning. As we neared the front, I realized the hawker was selling what most of the people at Poh Ho were devouring that morning: Small plates of fried vermicelli with various meat toppings. This stall’s food was a variation on economic rice, a dish in Singapore that basically features rice with various dishes that aren’t anything special but are rather simple ones that your mother or grandmother might whip up at home on a lazy weeknight. 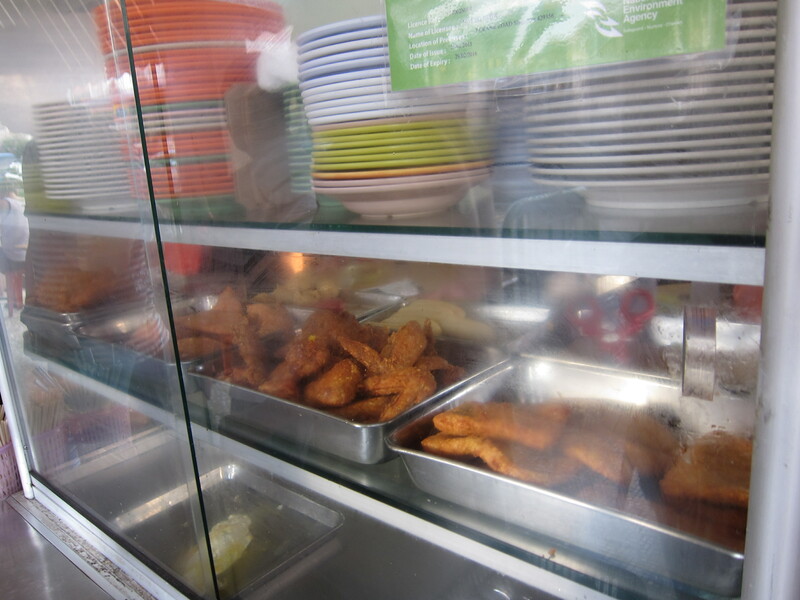 The stalls usually feature glass cases packed with troughs of food. Once you get to the front, you just point at the items you want, the guy slaps it on rice and you’re ready to go. It’s “economic” rice because it’s (usually) a super quick and inexpensive meal. 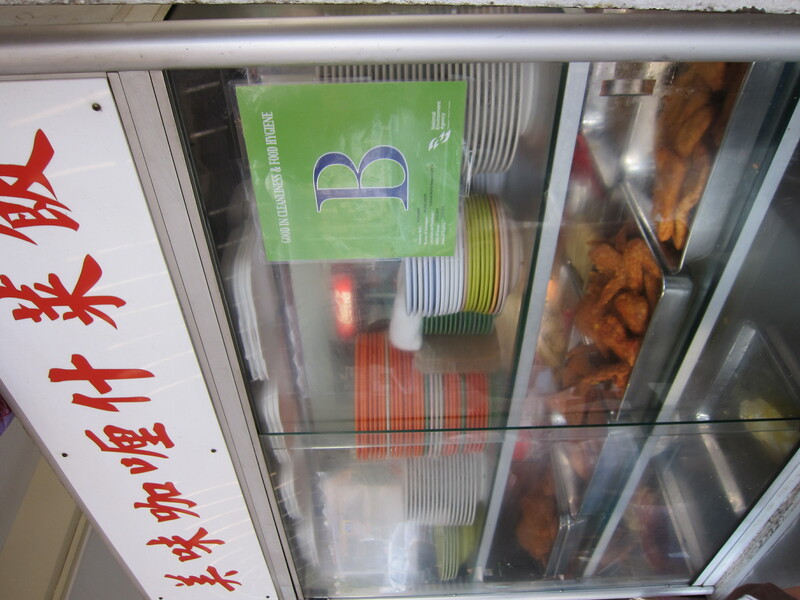 This stall, however, uses bee hoon (or rice vermicelli) instead of rice as its base. The bee hoon was a chocolate hue, having been fried with sweet dark soy sauce. 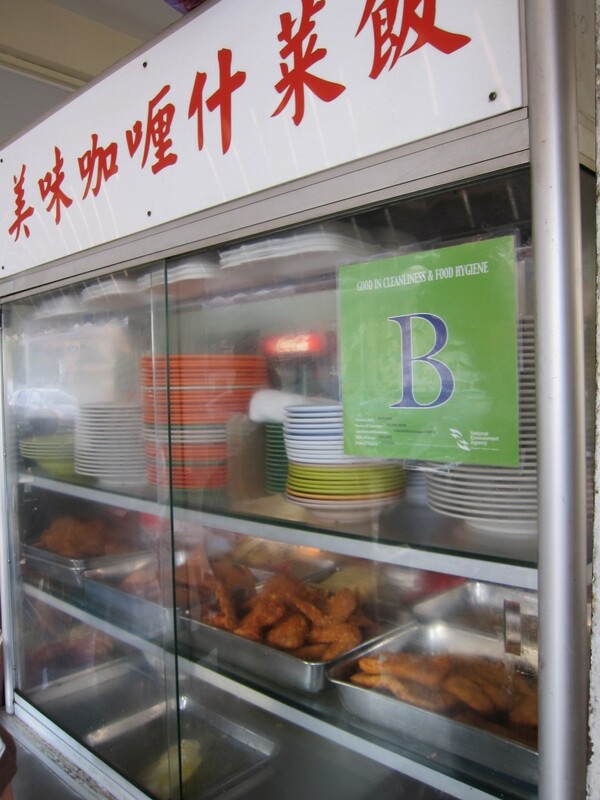 And the toppings were limited — we spied Hainanese pork chops, harjeonggai (deep-fried shrimp paste-coated chicken wings), crispy fried Spam, a few varieties of fish cakes and fried eggs in the window. But, we were now at the front of the line — and we were hungry. 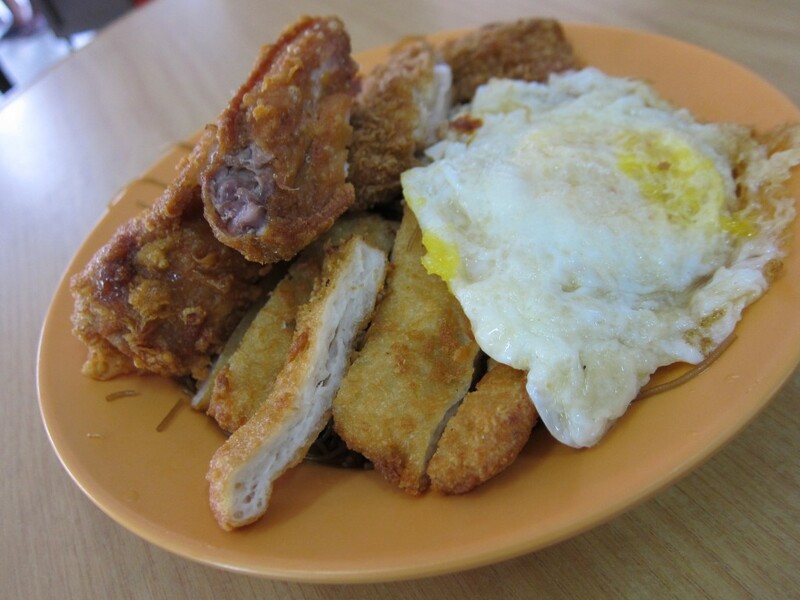 I decided to go whole hog, pointing at the crispy fried fish patty, fried chicken, Hainanese pork chop and egg. I could tell this was a rather large amount of food as the hawker seemed reluctant to add the last item when I requested it. His response in Mandarin: “AND the chicken?” After his look of disbelief disappeared, he set about snipping all the toppings up into bite-sized strips with a big pair of scissors. At SGD $4 (USD $3), this seemed like a good deal. Although my mother noted that her breakfast, which featured just the noodles and pork chop, was half that price. After mixing in the sambal chili sauce we’d piled onto our plates, we started working our way through. The fried egg was fine, with a yolk that was just the teensiest bit runny so it coated the noodles beneath when sliced open. The fish patty was perfectly decent, though bland. The pork chop — breaded with saltine crackers — had a nice crunch. “I like the noodles the best,” my mother offered, reaching over with her chopsticks to pinch a nest of it off my plate. It’s true that they were very nicely done — al dente, not too greasy and packed with a lightly earthy soy flavor. Everything I had tasted so far however, hadn’t wowed me. The meal, which hovered somewhere between not awful and not amazing, wasn’t something I’d likely seek out again. But then I tried the chicken wing. Now this was a true winner. There was just enough shrimp-paste on the wing to give it that salty umami without overdoing it, the chicken was fried superbly — juicy and tender inside and deliciously crunchy outside. I immediately considered getting back in line to order a wing or two more. Would I return? Absolutely. But I’m getting in line for just one thing though — a big plate of those marvelous chicken wings. Mei Wei Economic Bee Hoon, 7 Crane Road, Singapore.